Have some upcoming stays planned at hotels like Marriott, The Ritz-Carlton, St. Regis, Westin, and other properties attached to the combined Marriott Rewards and Starwood Preferred Guest (SPG) loyalty programs such as W, Autograph Collection and Sheraton? Those stays – and any new ones you book – could be your ticket to fast-track Gold or even Platinum status in Marriott’s new loyalty program, unlocking valuable perks like room upgrades, high-speed Internet, and for Platinums, hotel lounge access and complimentary daily breakfast. Gold could be yours to enjoy after just staying eight nights, with Platinum on offer from 16 nights: and considering mere Silver status normally requires 10 nights (and provides few benefits), being able to achieve Gold or Platinum status instead can make your travels that little more enjoyable. 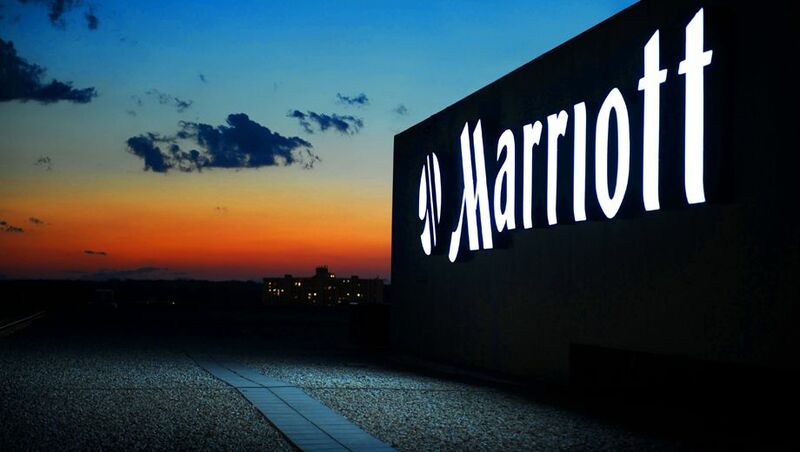 Here’s what you need to know to take your Marriott Rewards status to the next level. First up, you don’t need to already be an elite-level member with a competing hotel chain to take advantage of this promotion, but in the same token, you won’t be promoted to your chosen Marriott/SPG tier until after you’ve met the requirements of the challenge. That means you’ll remain at your current Marriott Rewards or Starwood Preferred Guest level for the duration of the challenge, so this isn’t a way to immediately unlock extra perks on your next business trip or holiday – rather, a way you can earn them faster than normal, which could encourage you to continue booking with Marriott over the coming year. For this promotion, you’ll need to nominate which tier you’re chasing, and complete the required number of nights within a three-month period: to recap, that’s eight nights for Gold, and 16 nights for Platinum. Unfortunately, if you choose to aim for Gold but stay for 16 nights, you won’t be moved up to Platinum (unless you’ve qualified outright, regardless of the promotion) – and similarly, if you choose the Platinum challenge but stay for just 8 nights, you won’t get Gold status, so make that decision carefully before locking in your choice. Have your Marriott Rewards membership number handy, call 02 8298 5250 within Australia from 10am-10pm Monday-Friday or 10:am-7:30pm Saturday (closed Sunday), and request either the “Gold status challenge” or “Platinum status challenge”. If your membership account sits on the Starwood Preferred Guest side even after combining your Marriott and SPG accounts following the recent merger, or your account is still SPG-only, you can instead call 1800 450 010 during the same hours to request your challenge. Be aware that each member can only request one status challenge or promotion every three years, so if you’ve recently taken advantage of a similar deal – including SPG Gold after your first stay for World Mastercard holders, in recent times – you may not be able to enrol for this challenge: but there’s no harm in calling anyway and seeing what’s possible. Should you encounter any difficulties with the Australian call centre, you can also try your luck with the US-based teams for Marriott Rewards (+1 801 468 4000) and SPG (+1 888 625 4988), although international call charges may apply. Going for Gold status? After confirming your enrolment in the Gold status challenge, spend just eight nights at Marriott hotels (or related brands) within your 90-day challenge period and Gold status will be yours for at least a year. Once that status has appeared on your account, you’ll become eligible for perks like enhanced room upgrades at check-in and a 2pm late check-out – both subject to availability, but you can count on higher-speed Internet access with every stay, wherever a hotel offers this service. You’ll also take home 25% more points on stays, including on incidental spend such as meals, drinks and spa treatments – plus a ‘welcome bonus’ of either 250 or 500 points, depending on the hotel brand. 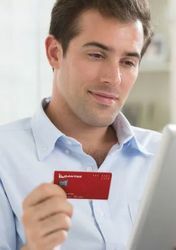 Normally, you’d need to spend 25+ nights in Marriott hotels every year to unlock these benefits, or be an AMEX Platinum Charge Card holder (which costs $1,450/year in Australia), so getting the same from just eight hotel nights is a solid offer. Gold status is nice, but for complimentary hotel lounge access and free daily breakfast on top of those other benefits, you’ll want to aim for Platinum if you can – yours when choosing the Platinum challenge and spending 16 nights in hotels within your three-month challenge period. What’s more, Platinum members earn 50% more points on stays, compared to 25% as with Gold, and when it comes to room upgrades, these include standard suites if available at check-in, as opposed to the ‘enhanced’ rooms offered to Gold members, which could just have a better view or a nicer location. As another step up from Gold, late check-out moves from a possible 2pm to a guaranteed 4pm departure at most properties, but again, if you aim for the Platinum challenge and only stay for eight nights, you won’t get Gold as a consolation prize. Given you won’t enjoy the benefits of your newly-minted status until after your challenge is complete, keep your goals realistic to avoid missing out completely if you’re unlikely to reach that 16-night minimum. Any advice on whether award stays are included in the night count for these challenges? Can I forward date the 3 month commencement window to coincide with my first stay? I assume it’s better to time the achievement of the Fast Track sttaus to no earlier than March 1st (as opposed to February 28th) to take advantage of a much longer status window due to their review timing? Hi Emerald City, these are questions best-asked of Marriott/SPG when you call up about the promotion as they'll have your account details at their fingertips. I would have thought that if you were going to publish such an article it would be prudent to take the time and explore these type of options to provide your readers with the most comprehensive, timely and accurate information. These are common and obvious follow up questions (that are not unique to any individual) for a community geared towards maximising status. Maybe ABT could call SPG/Marriott and publish the answers for the benefit of all readers rather than directing individuals to call up themselves. Emerald City: we prefer to provide the need-to-know info as relevant to every traveller plus a few tips to suit, but then allow each traveller to make follow-up enquiries for any specific questions they may have (as those questions can and do vary from one reader to the next). Hi David. Fair enough, but as a long time and highly appreciative reader of ABT articles I've found that you almost always provide an in depth analysis and insight into all the aspects of any given topic published (not just gerneic info). Maybe just not on this occasion. Award stays DO NOT count for challenges. There is no such thing as a free lunch. Thanks for letting us know about the award nights not counting - very informative. Does anyone know if you are a current Gold Member, which I am achieved only by not meeting my Platinum nights last membership year - am I elegibleif I have not taken part of promotion in the past. Or is it purely for those who have not achieved the status before? Do bookings through online agents count? Or only direct bookings on Marriott and Starwood sites? Nope. Booking through online agents like Hotels.com, agoda or Expedia don't count. Comment on "Fast-track to Marriott Rewards Gold, Platinum status"